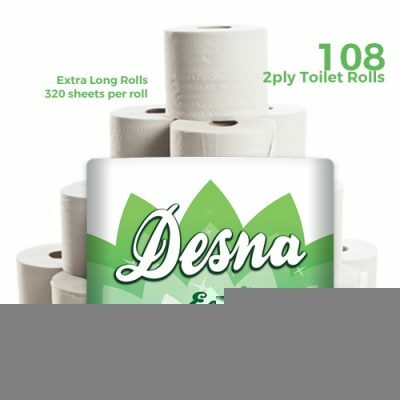 40 Desna rose is by far our best selling 3ply toilet roll. 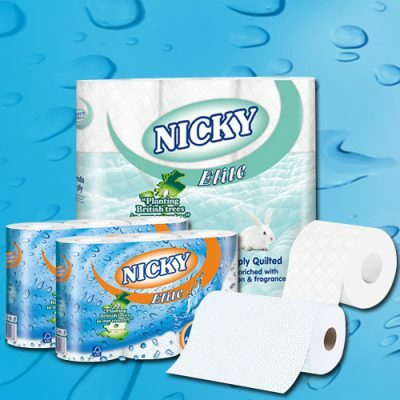 Each ply is Quilted and glue embossed for extra strength. 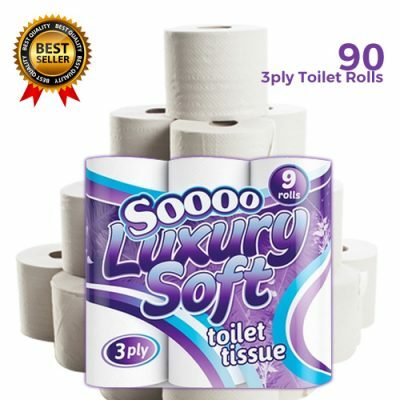 Made from the finest tissue available from carefully sourced tissue suppliers. 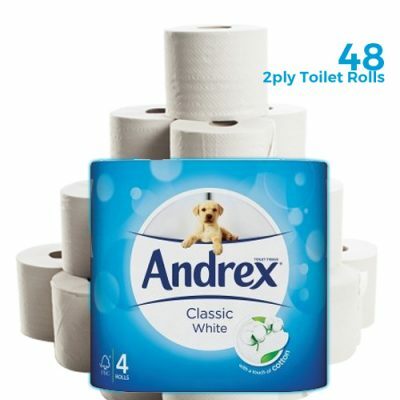 Great value for money compared to branded supermarket 3ply toilet rolls..
40 Desna Rose Toilet Rolls packed as 10 packs of 4 rolls per case. 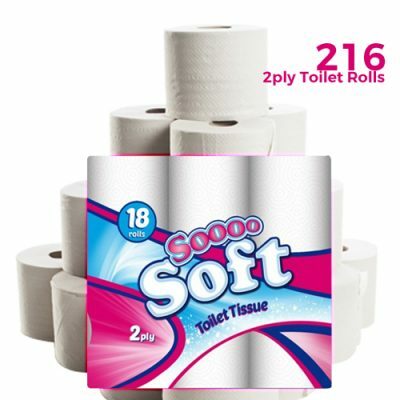 3ply (triple sheet thickness) Rolls now with and extra 15 sheet per roll. 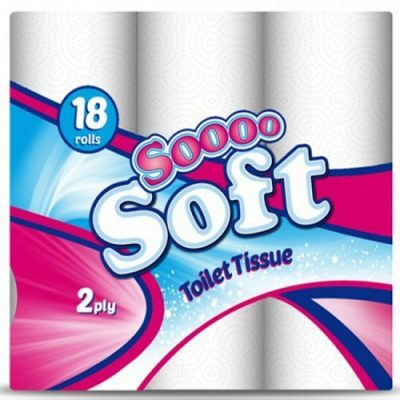 Was 160 sheets per roll, now 175 sheets of 3ply toilet roll totalling 7000 sheets per case. 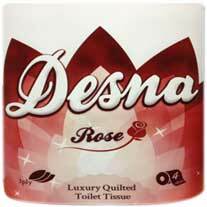 Dont liek our Desna Rose?? 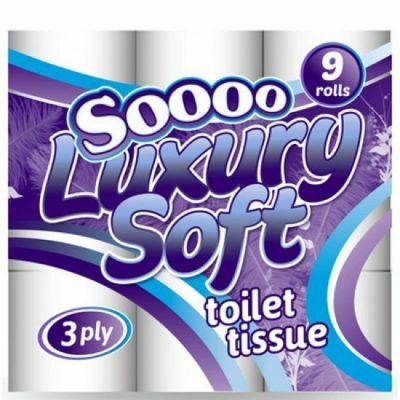 another 3ply Toilet Roll option would be our 45 pack Soooo Luxury Quilted Looroll. 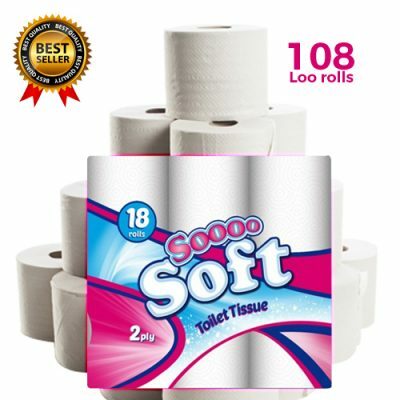 Let us know what you think in our reviews.